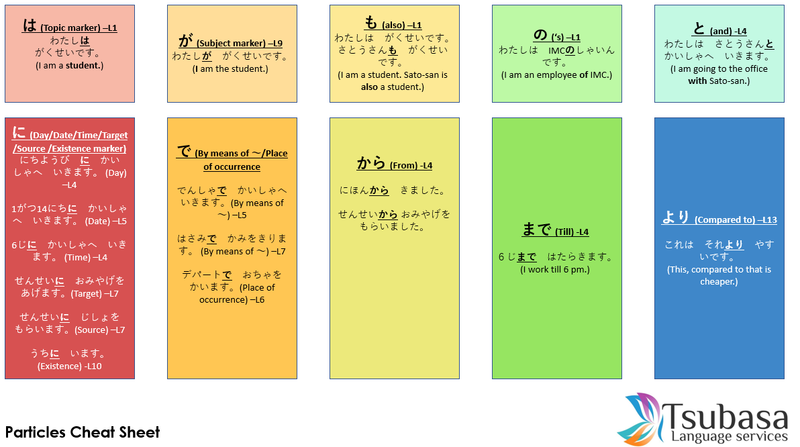 こんばんは。Did a Japanese particles cheat sheet. Feel free to refer. The L refers to the chapter in Minna no Nihongo.